In the last week of February I’ll go on my first winter sports holiday in years. Not to the Alps and not in a nice warm hotel, but to Dovrefjell, Norway and with a warm sleeping bag and a tent with temperatures that could drop to -20°C… I go with Ingvar, a Swedish photographer whom I met in Sarek last summer, to Dovrefjell to find and photograph Muskoxen. 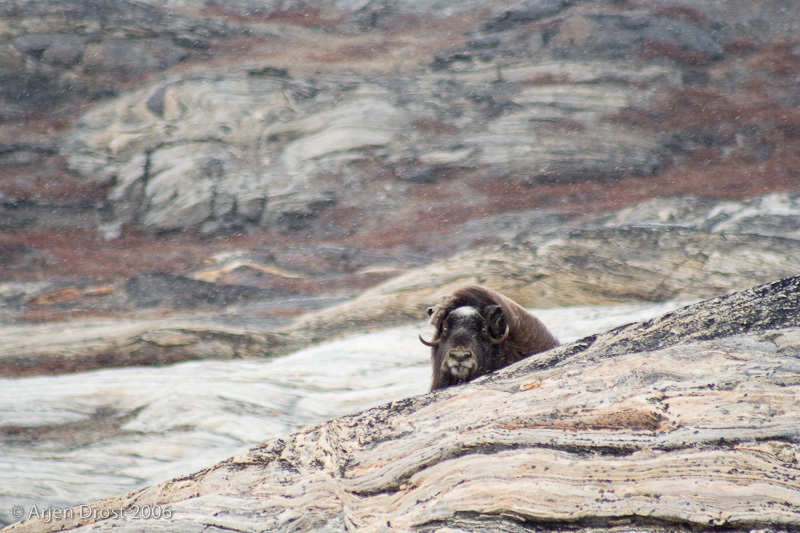 Muskoxen are real Arctic animals, highly adapted to living in the cold. They seem to be transported straight from the last ice age, and they could be, as they have walked next to Mammoths during that ice age. I’ve seen them already in East Greenland, but that was in early autumn. This winter we want to find and photograph them in during the hardest time of year: mid winter. A trip like this takes some planning with which we have started already. Buying a warm sleeping bag, warm clothes and such. But also getting information about the area and the places where we are likely to find the animals. It’s still three months to go, but I’m already really looking forward to this trip. I’m sure you’ll hear more about it and hopefully see some spectacular results. Previous Post Previous post: Mushroom!